Protect trans rights by calling your senators and attending allyship courses. Last week the Supreme Court revived the Trump administration’s attempted ban on transgender military service, ruling that the ban can be enforced while legal challenges against it are pending. Trans people have already been serving in the military for years, and there’s no evidence their presence in the armed forces has any adverse effects on military performance. Nevertheless, the administration continues to pursue this arbitrary and transphobic policy. This week’s Take Action Now gives you three ways to oppose the ban and to further affirm and protect the rights of transgender and gender-nonconforming people. Trans people are more likely now than ever to feel like they’re invisible in the mainstream conversation and pushed out of public life. Voice your support by signing this pledge to oppose the ban and sharing these graphics on social media. 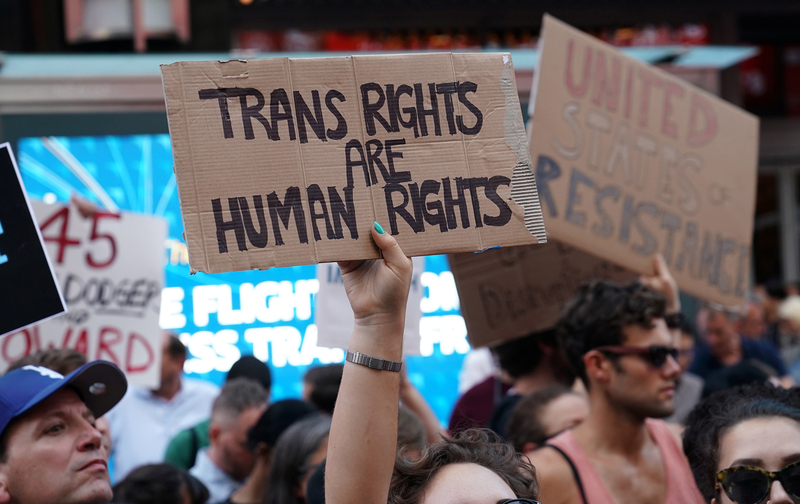 As the Trump administration continues to attack the humanity of trans people, it’s crucial that cis people learn how to be good allies and advocates for the people around them. The Transgender Training Institute offers regular 15-hour Allyship Training Camps for those interested in making a larger commitment to the cause: visit this site to keep an eye out for upcoming opportunities. You can also request trainings and climate assessments for your workplace or organization.